Momentous motor sports events that took place during this weekend in history ……. 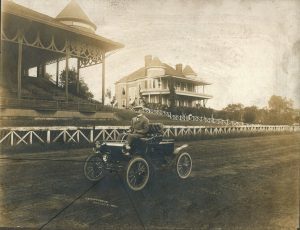 racing events were the highlight of the annual state fair, drawing top American drivers to compete, and launching the careers of others. In 1956, the track was paved and lighted, and the tradition of weekly Saturday night racing at the Fairgrounds was born. And in 1958, NASCAR came to Nashville with the introduction of the NASCAR Winston Cup to be run on a brand-new half-mile oval. The legendary driver Joe Weatherly won the first Winston Cup, beating the likes of Fireball Turner, Lee Petty, and Curtis Turner in the 200-lap event. Between 1958 and 1984, the Fairgrounds hosted forty-two NASCAR Winston Cups, and Richard Petty and Darrell Waltrip were the overall leaders in victories, with nine and eight Winston Cups respectively. The last Winston Cup race to descend onto the Tennessee State Fairgrounds was a 420-lap event won by driver Geoff Bodine. But despite the departure of the Winston Cup, the Nashville Speedway continued to improve on its racetrack, and illustrious racing events such as the Busch Series are held on the historic track every year. 1973: Benny Parsons clinched the NASCAR Winston Cup Championship. 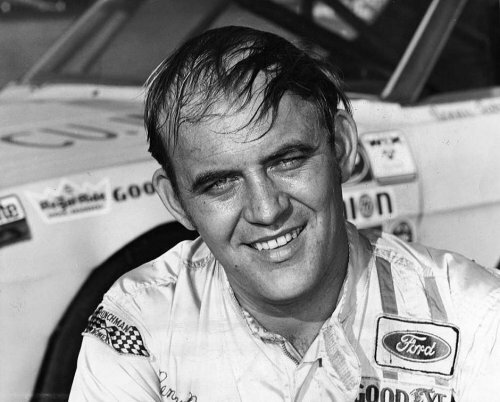 With his fourth place finish at Dover Downs International Speedway, underdog Benny Parsons found himself atop the point standings with a 211.75-point lead over Cecil Gordon, who finished the race in 27th. James Hylton and Cale Yarborough also struggled as they were contending for the championship, finishing 19th and 25th, respectively. Defending champion Richard Petty was also in the running for the title and came in seventh at Dover. 1984: Bill Elliott emerged from a stirring duel with Harry Gant, converting a last-lap pass to win the Warner W. Hodgdon American 500 at North Carolina Motor Speedway by one foot at the checkered flag. For Elliott, who led 133 of 492 laps, it was the fourth of his 44 career victories in NASCAR’s top series. 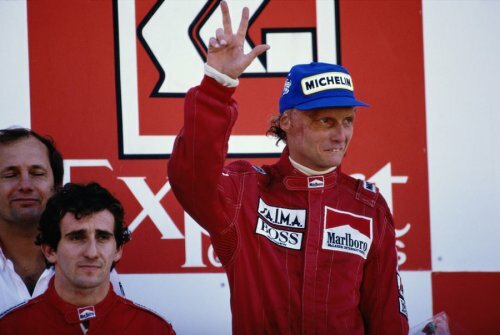 1984: Second place in the final race of the season, the Portuguese Grand Prix, gave Niki Lauda the world motor-racing championship for the third time. 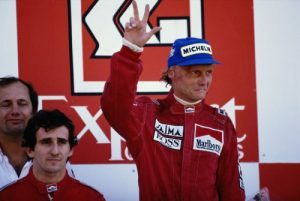 The man who won the race, Lauda’s McLaren team-mate, Alain Prost, was pipped to the title by the narrowest of margins, just half a point. McLaren dominated the season, with Prost winning 7 races to equal the season wins record set by Jim Clark in 1963, and Lauda winning 5, making the McLaren MP4/2 the most dominant single season car in the sports history to that point. 1990: Suzuka staged the Japanese Grand Prix. The race is best remembered for the first corner collision between World Championship rivals Brazilian driver Ayrton Senna (McLaren) and French driver Alain Prost (Ferrari), the second consecutive year the two had collided at this race with heavy championship repercussions. It immediately put both cars out of the race and secured for Senna his second World Championship. 1955: Richard Pape in an Austin A90 Westminster arrived in Cape Town after an epic journey of 86 days from North Cape, covering over 17,000 miles, to become the first man to transverse the world’s largest landmass (Afro-Eurasia) by car. 1961: Joe Weatherly surged to the front in the late stages to win the Southeastern 500, just the second race for NASCAR’s top series at Bristol Motor Speedway, Tennessee, US. Weatherly passed Rex White with 82 laps to go and leads the rest of the 500-lap race, holding off White by seven car-lengths at the finish. Nelson Stacy came home third as the only other car on the lead lap. 1983: Ayrton Senna won the British F3 race at Thruxton, England. 1989: Alessandro Nannini’s one and only Formula 1 win at the 1989 Japanese Grand Prix at Suzuka came in the wake of Ayrton Senna being disqualified. After clashing with Alain Prost, Senna rejoined the race in a way allegedly giving him an advantage according to the stewards of the meeting. The incident and the controversial decision gave Alain Prost his third title. 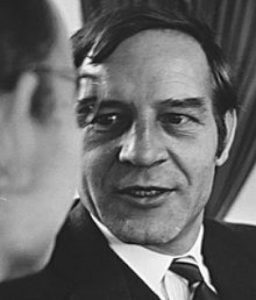 1993: Robert MacGregor Innes Ireland died from cancer at the age of 63. Arguably the most spectacular talent of his generation, Innes Ireland won the 1961 US-Grand Prix for Lotus. A couple of weeks later Colin Chapman sacked him as the Lotus boss saw more potential in youngster Jimmy Clark. 2003: IRL racer Tony Renna (26) died after crashing at close to 220 mph during a test drive at the Indianapolis Motor Speedway.